LOS ANGELES, CA--(Marketwired - December 14, 2015) - BeMyDD (Be My Designated Driver), the nation's largest designated driver service, today announced the launch of their first annual PuppyLovin' New Year's Eve campaign, created to rescue animals under the threat of unnecessary euthanization in kill shelters. 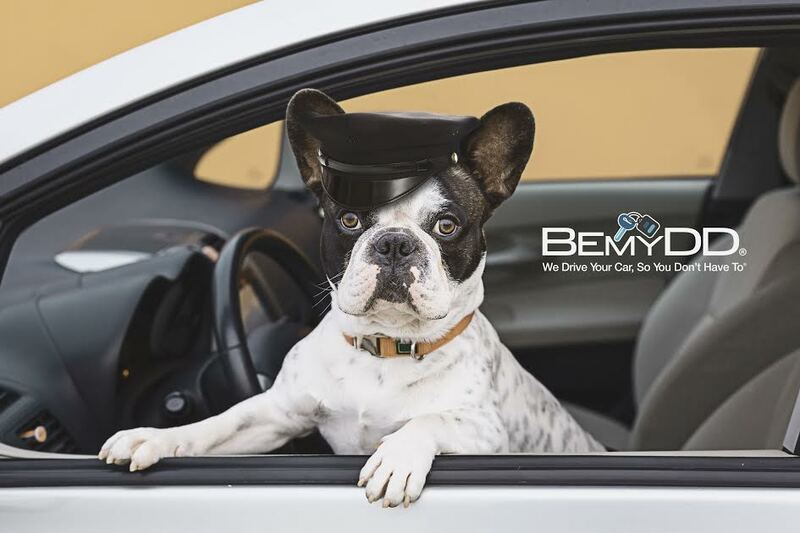 BeMyDD will dedicate $1 for every hour of designated driver service provided on New Year's Eve to help move dogs to no-kill shelters, where they can be adopted and live long and happy lives, thereby avoiding the chance of euthanasia. Contributions will be made to one or more charities that will go towards the execution of this campaign. "We've always been focused on helping to decrease drunk driving and keeping people safe on New Year's Eve," says Arthur Simanovsky, BeMyDD CEO and President. "This year we wanted to do even more by giving a holiday gift to those who are truly helpless and abandoned." According to statistics from the ASPCA, approximately 2.7 million animals are euthanized in animal shelters each yeari. "With the PuppyLovin' NYE campaign, we want to take the resources we have to help animals in danger who cannot help themselves," says Simanovsky. "New Year's Eve is our busiest night of the year for designated drivers, so it's the perfect opportunity for us and our customers to support a worthy cause." BeMyDD is an alternative transportation service that provides professional drivers to drive your vehicle for you. Instead of asking a friend to stay sober to act as a designated driver or having to leave the car behind while taking an expensive taxi home, BeMyDD allows you to ride in the comfort of your own car while leaving the driving to a professional. Fully-screened and insured, BeMyDD drivers have at least 10 years of driving experience and arrive dressed in professional attire. New Year's Eve and Day are traditionally dangerous times to be on the road, with people all across the country attending parties and traveling in the early hours of the morning. BeMyDD's personal driver service provides a convenient and affordable way to drink responsibly, with hourly rates of only $14.00-$19.50 an hour. Interested parties can learn more about the PuppyLovin program at BeMyDD.com/puppylovin. To make a reservation for a designated driver, download the BeMyDD personal driver app through the App Store, Google Play, or BeMyDD's website at BeMyDD.com/mobile-apps. Founded in 2010, BeMyDD (Be My Designated Driver) is the nation's largest designated driver service, currently operating in 76 markets in 31 states. This convenient, safe, reliable and affordable alternative transportation service provides a chauffeur at a discounted rate by driving the customer's automobile. Professional, experienced drivers are fully background-screened, interviewed and insured by ByMyDD and wear formal business attire. The company has national partnerships with leading liquor and wine companies to promote social responsibility, including Total Wine & More and Brown-Forman. To schedule a professional driver, go to BeMyDD.com, call +1 (877) U-BeMyDD (823-6933), or download the mobile app. To learn more, visit www.BeMyDD.com and follow us on Facebook; LinkedIn; Google+; YouTube and Twitter.